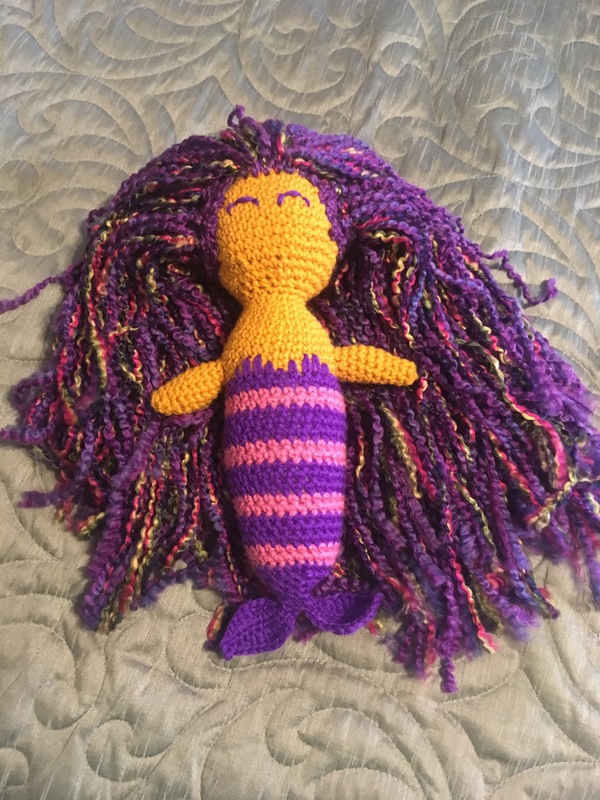 Lorene makes mostly garments, and they are lovely, but here is a fun amigurumi mermaid that we tested out. Your mermaid might look slightly different from mine. 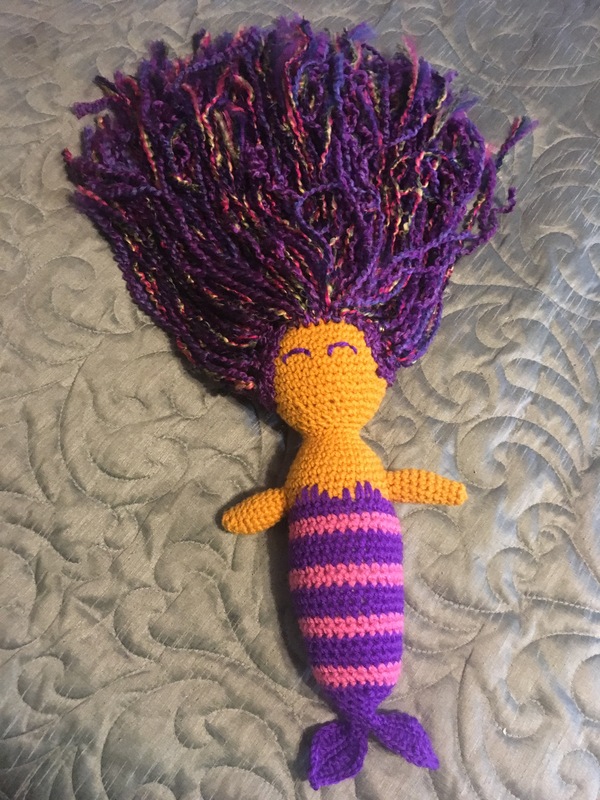 There were likely changes made in the neckline of the mermaid’s ‘clothes.’ But after I added the hair……ooooooo, she was so LUSCIOUS!!!! Oh man, adding the boucle homespun yarn and adding a LOT of it made her hair almost heavier than her body. I loved it! Her hair was so spongy and soft, it was like its own blanket. But, on my version, because the hair was so heavy, it pulled her head over if you held her upright. So, plan ahead, if you want to have loads of lovely hair, you may need to pack the neck more tightly or add some kind of stabilizer inside the neck. Be careful when you do this, if you want the doll to be washable by the user. My first thought was a cardboard tube (like the kind my essential oils are delivered in), but that would go to mush when washed. 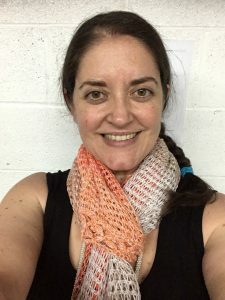 Do you have a washable idea for this that isn’t pointy? Please add in comments. In December 2017, I sold my Marnie at a craft fair to a precious little girl. I know she’ll be well loved. 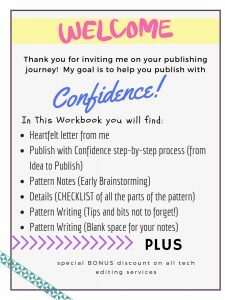 If you need a technical editor, please don’t hesitate to email me at emily.tony08@gmail.com. I will happily give a brief look at your pattern and give you an estimate on time and cost to review. I can also work with you as to how much or how little is adjusted from your original pattern.